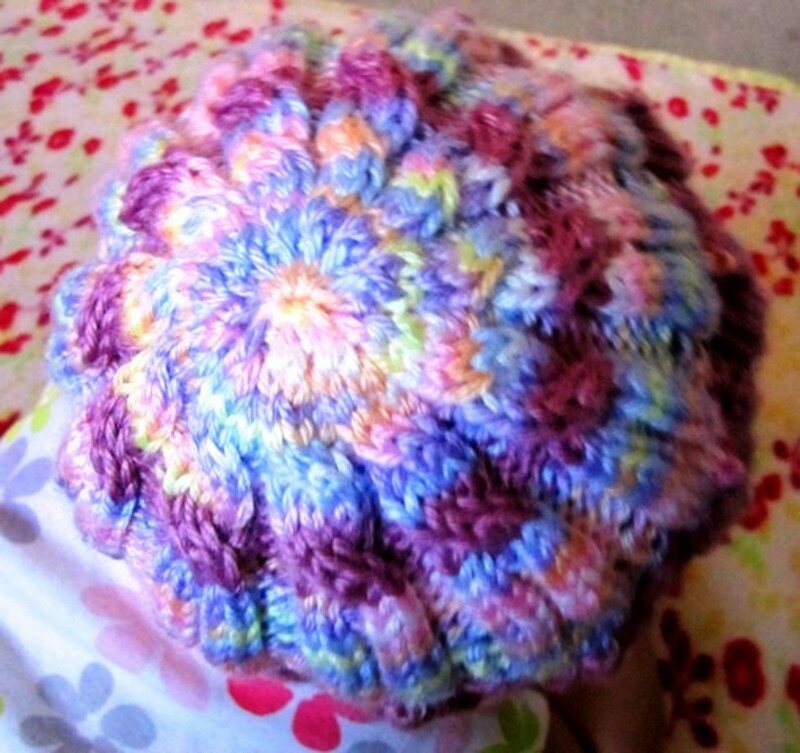 Colorful Candy Baby Hat Free Pattern with Tutorial Videos! 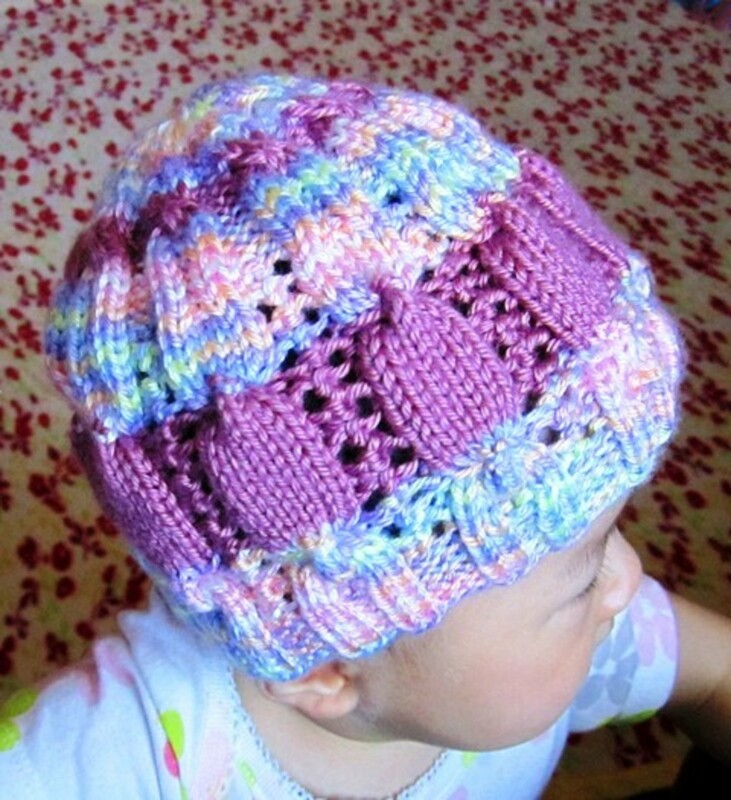 Are you looking for a free and beautiful cable knit baby hat pattern? Here is what you are looking for exactly. Candies on the hat are created by an interesting cable stitch called Cross 6 (C6). 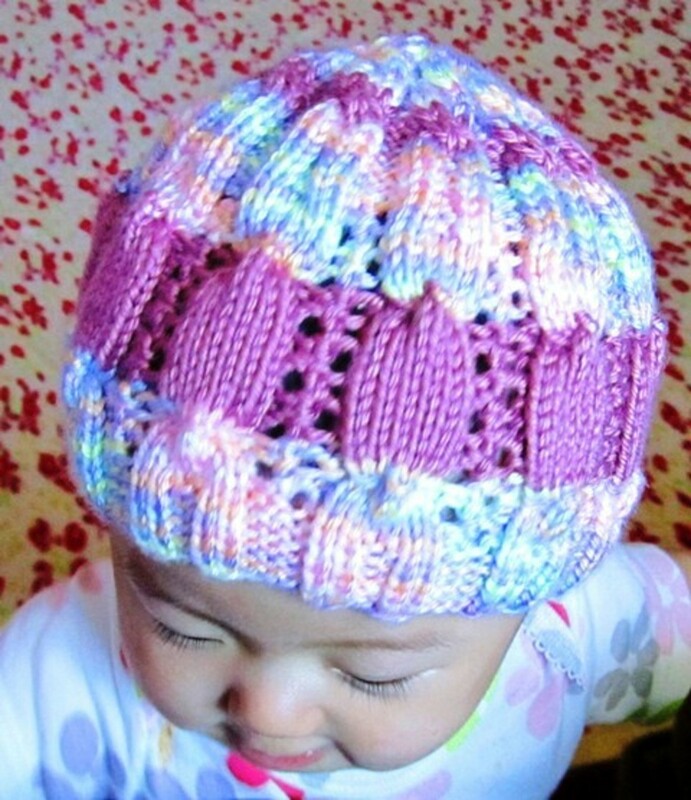 This little hat is knitted with two leftover yarns and looks like many colorful candies on the hat. It is not only suitable for intermediate knitters who know how to knit basic cables but beginner knitters can also try with following YouTube videos. This pattern has one size for 6 to 18 months babies. It's cute and not very difficult to knit. 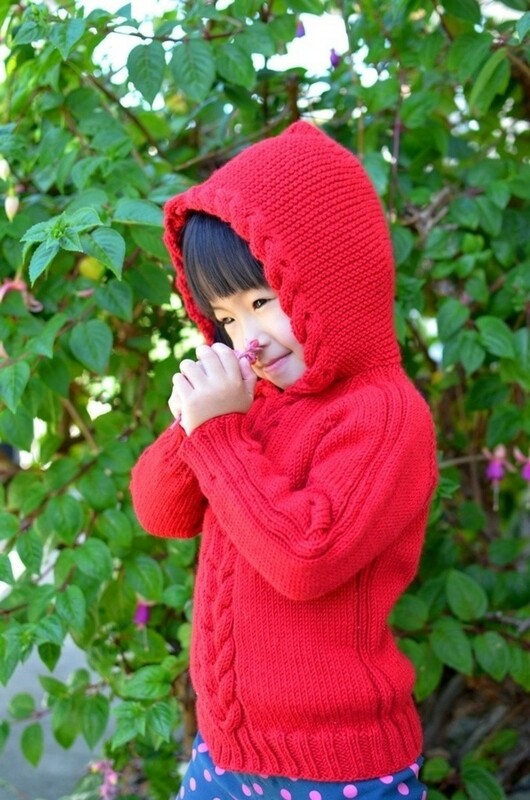 Knit for your lovely baby to be warm in cooler months or make for a perfect gift. Have fun! Cute Baby Hat on Amazon! This pattern has only one size from 6 to 18 months and the hat is approximately 6.5 inches long. This hat is knitted with category 4 medium worsted weight yarn total of 60 g/ 79 m/ 86 yds. You will need approx. 52 yds of Caron Simply Soft (Baby Brights Ombre 9801) for color A and approx. 34 yds of Caron Simply Soft (Baby Plum Wine 9722) for color B to get the same pattern. For the pattern you will need a 16 inches long US 5/ 3.75 mm circular needle, a set of US 5/ 3.75 mm double pointed needles, cable needle and a yarn needle. 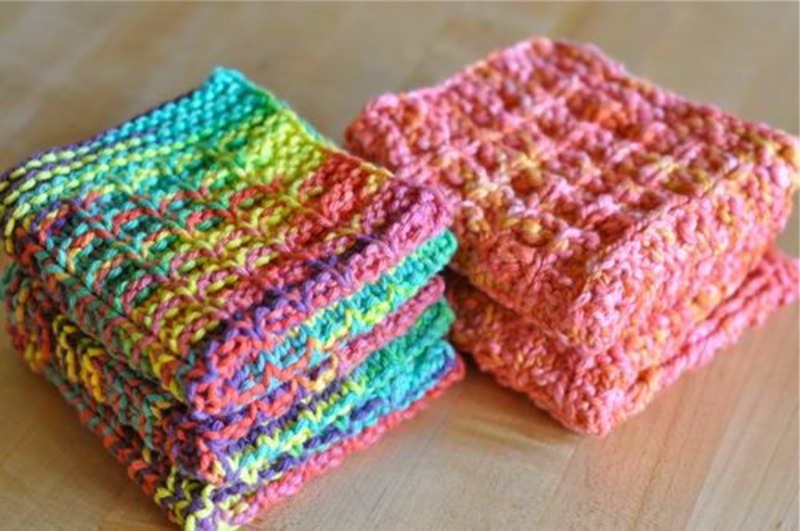 Cast on 110 sts with Color A by using the circular needle. 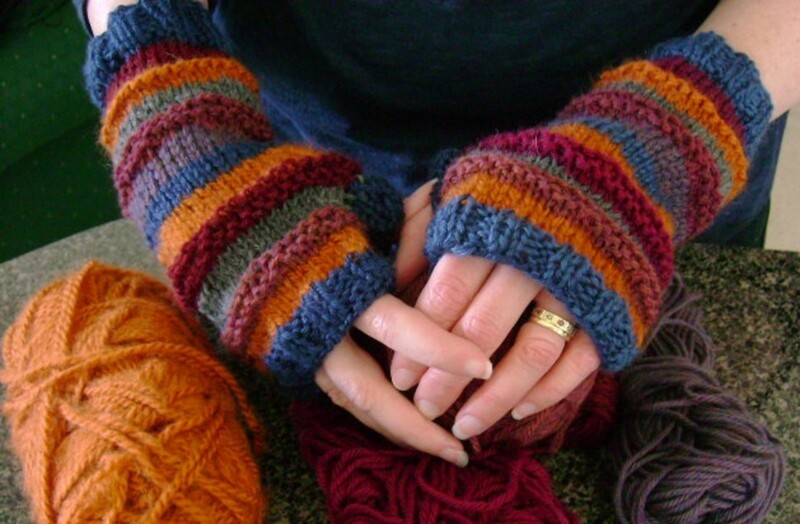 Join to knit in the round and place a marker to remember the starting stitch. Round 1, 2, 3, 4, 5, 6: [K2, P2, K2, P4] 11 times. Round 7, 11, 15, 19, 23, 27: [K6, P1, YO, SSK, P1] 11 times. Round 8, 10, 14, 16, 18, 20, 22, 24, 26, 28, 30: [K6, P4] 11 times. Round 9, 17, 21, 29: [K6, P1, K2tog, YO, P1] 11 times. Round 12: [C6, P4] 11 times. Round 13: Change Color B. [K6, P1, K2tog, YO, P1] 11 times. Round 25: Change Color A. [C6, P1, K2tog, YO, P1] 11 times. Round 31: [K2, P2, K2, P1, YO, SSK, P1] 11 times. Round 32, 33, 34, 35, 36: [K2, P2, K2, P4] 11 times. Start decreasing and shape top. Round 38: [K5, P4] 11 times. Round 40: [C4F, P4] 11 times. 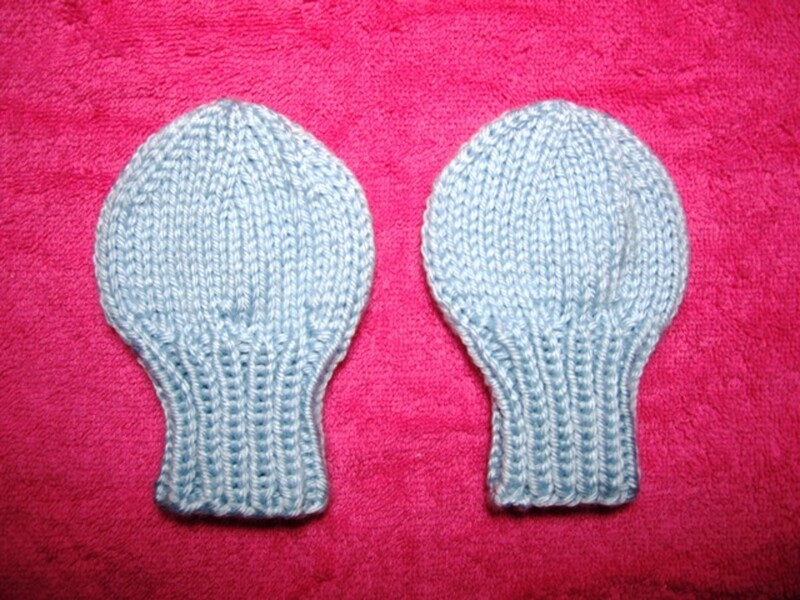 Replace the stitches onto double pointed needles for easier to knit. Round 42: [K4, P3] 11 times. Round 44: [K4, P2] 11 times. Round 46: [K4, P1] 11 times. Cut the yarn about 6 inches to work with. With a yarn needle, pull the yarn through all the remaining loops, draw up firmly, fasten securely and weave in the wrong side of work. Weave in the other ends too. Do you prefer a pattern to buy or to get free? If I love a pattern, I am sure to buy it. There are so many free patterns, save money. 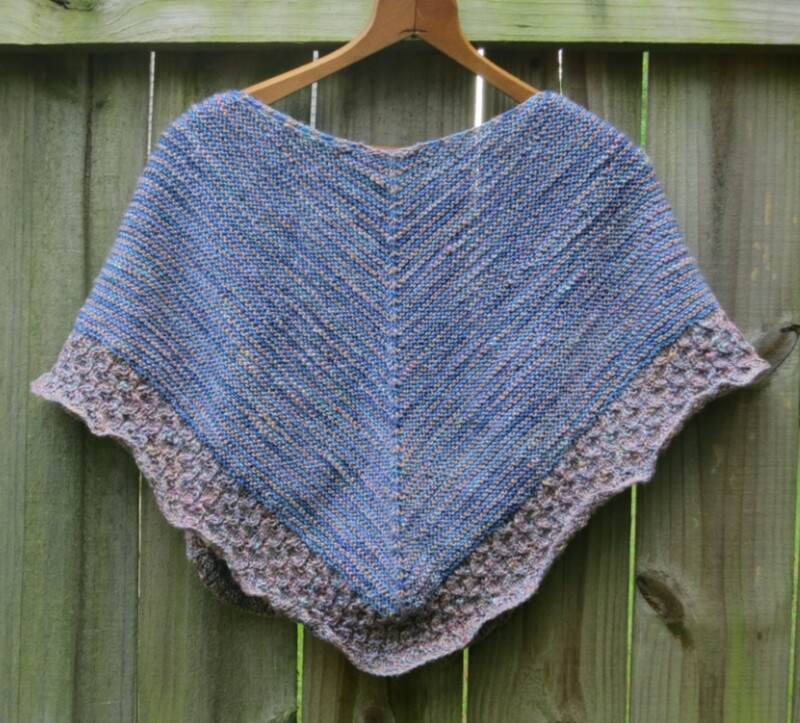 More Knitting Patterns You May Also Like . . .
Baby Sweater, Baby Dress, Baby Shrug, Baby Bib, Baby Hat, Baby Booties, Baby Mittens. Thank you for your support and encouragement ripplemaker. I feel excited to know who will win the HubNuggets. Thank you so much Wonder wool. I am so happy I found Hubpages. Soo cute...!!! loved it!! Voted up! Welcome to Hubpages Whiteflowerneedle. Hope you have a great time and reach your goals on hubpages..! !